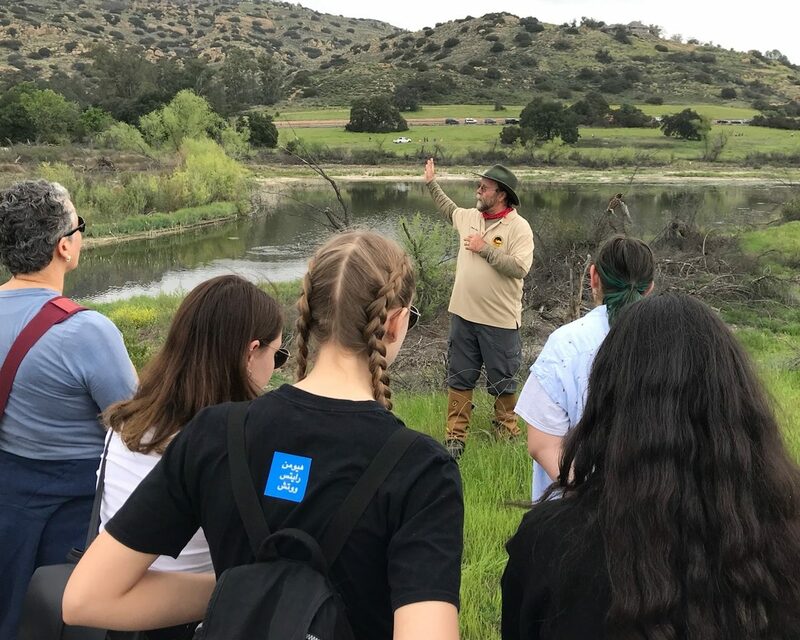 Above: Santa Susana Mountain Park Association member John Luker leads a tour group at the Chatsworth Nature Preserve Earth Day Open House held on April 7. LOS ANGELES (April 18, 2018) — More than 1,500 people celebrated Earth Day two weeks early at the Chatsworth Nature Preserve Earth Day Open House hosted by the Los Angeles Department of Water and Power (LADWP) and the Santa Susana Mountain Park Association on Saturday, April 7. The event at the City of Los Angeles’ only nature preserve featured an opening ceremony that included a special Wishtoyo Chumash Native American Tribal Blessing performed by Chumash Tribal Elder Johnny Moreno. The event also featured live animal exhibits, information booths, A bird observation station hosted by the National Audubon Society, and two-mile guided walking tours around the Chatsworth Pond. 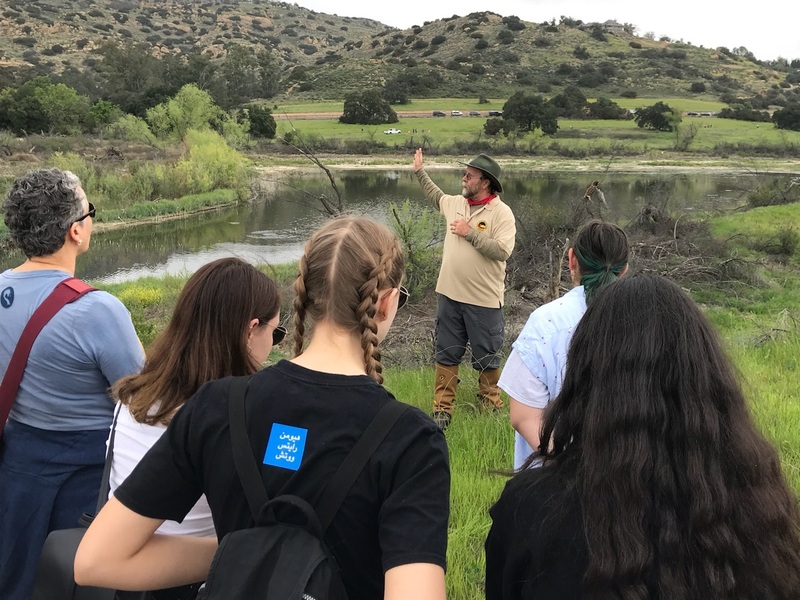 Because the property is closed to the public to preserve habitat on the site, the annual Open House provides a once-a-year opportunity for the public to view wildlife habitat and plants and trees around the Chatsworth Nature Preserve. In addition to more than 18 species of birds seen that day, there was also a legless lizard sighting. Tour guides provided the public with historical background of the area, as well as facts about the animal and plant life in the preserve. One species of oak tree located on the site, which typically live 200 to 300 years, serve as an important part of Chatsworth Nature Preserve’s ecosystem. These mature oaks provide sapling oaks with moisture, nourishment and protection from the sun while also serving as critical habitat for birds, insects, plants and animals indigenous to the area. Speakers also included 12th District L.A. City Councilmember Mitch Englander, Senator Henry Stern, and Santa Susana Mountain Park Association Vice President Tom Nachtrab. The LADWP-owned property originally served as the site of a reservoir put into service in 1919 and fed by the San Fernando Reservoir. Because the reservoir dam was built without mechanical compaction of the soil, it was deemed seismically vulnerable and removed from service in 1972. In 1997 the Los Angeles City Council renamed the Chatsworth Reservoir as the Chatsworth Nature Preserve establishing the City’s first and only nature preserve.